HTC Bresson Destined for T-Mobile This Fall? 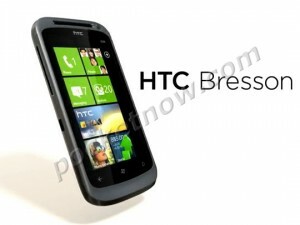 Home > Windows Phone > HTC Bresson Destined for T-Mobile This Fall? The entire 2011 roadmap was revealed last night from This Is My Next. Plenty of Android phones in the mix, but there was a reference to the HTC Bresson. PocketNow fills in the blanks to let us know that the Bresson (codename) is a modified Desire S, which might include a 16 megapixel shooter. The release date is likely in Q4, likely in time for holiday sales. It’s more than likely that the HTC Bresson will represent T-Mobile’s first phone that will feature Windows Phone 7.5 (Mango).